India is a mélange of various races, cultures and tribes, and of course food. 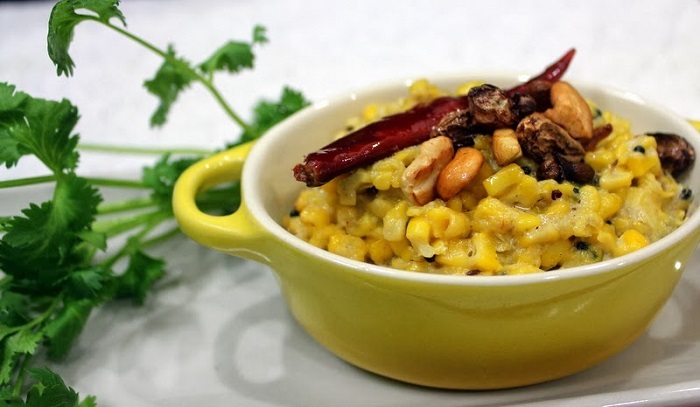 While we know quite a lot about common Indian food, from across the nation, which are readily available at any restaurant, there are certain dishes that are essential members of each regional cuisine, and we haven’t even heard their names. They are delicious, relished by most households in every state, and usually pretty easy to make. These preparations are made with a variety of ingredients, some that are always there at home, and some that might be slightly difficult to get hold of. They could be from the South Indian states of Tamil Nadu, Kerala, Karnataka, and Andhra Pradesh. They could also be from the “Seven Sister States,” Arunachal Pradesh, Tripura, Meghalaya, Assam, Manipur, and Mizoram. Or, they could be from the northern and western parts of the nation. Wherever they may have originated, these are must-try dishes that will win your heart, and you should know about them. 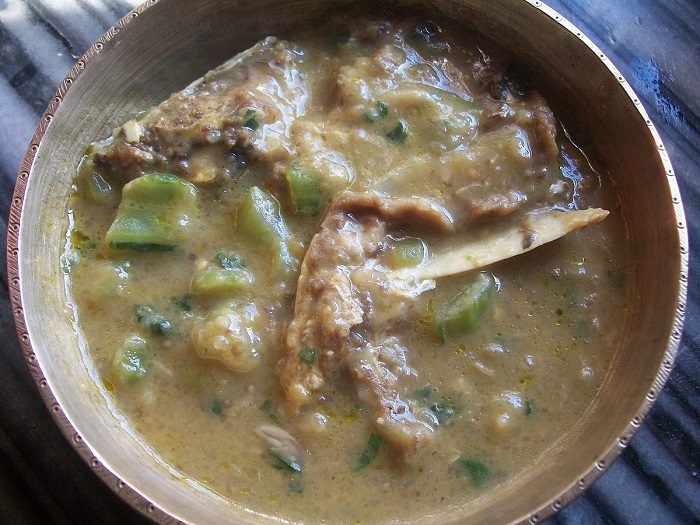 Khar is a famous dish from Assam that stands out because of the uniqueness of its core ingredient. Banana skin is dried and burnt to turn into ashes, and the water that is made to run through it is filtered to form the base of the gravy. 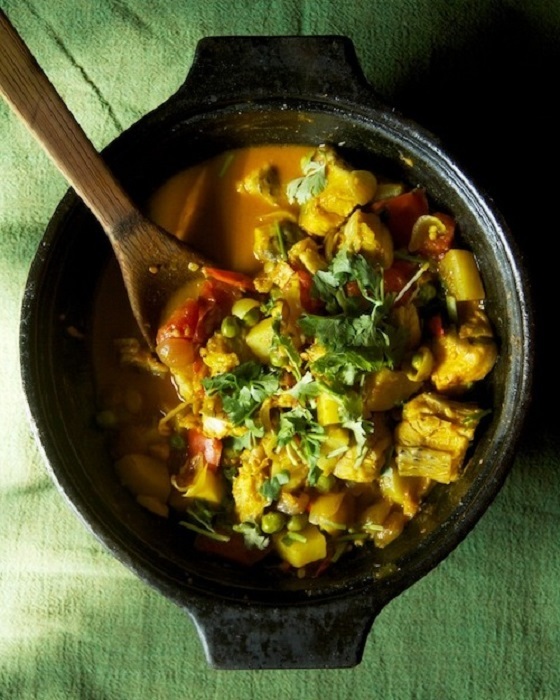 Cook in this the usual lentils, meat, fish, or vegetables, and the khar is transformed into finger-licking goodness. 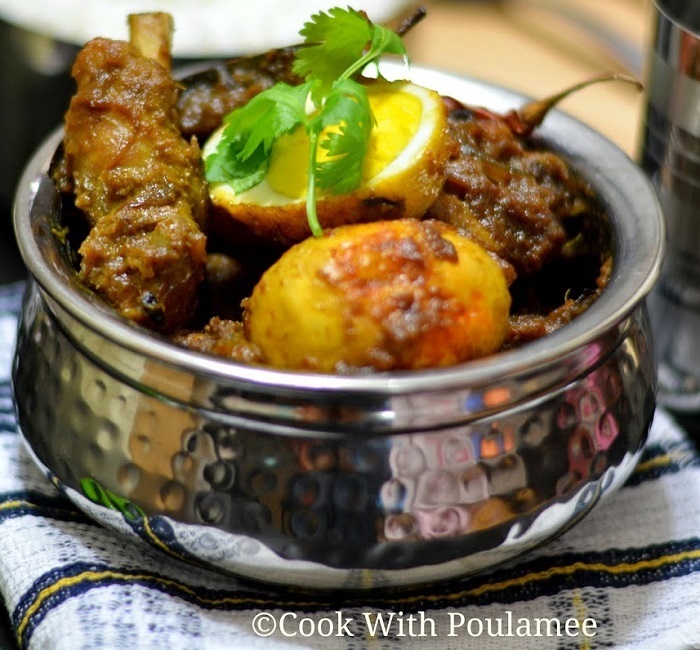 First and foremost, Potol, or pointed gourd, is essential to any Bengali household. It is probably the second most favorite vegetable after the potato. 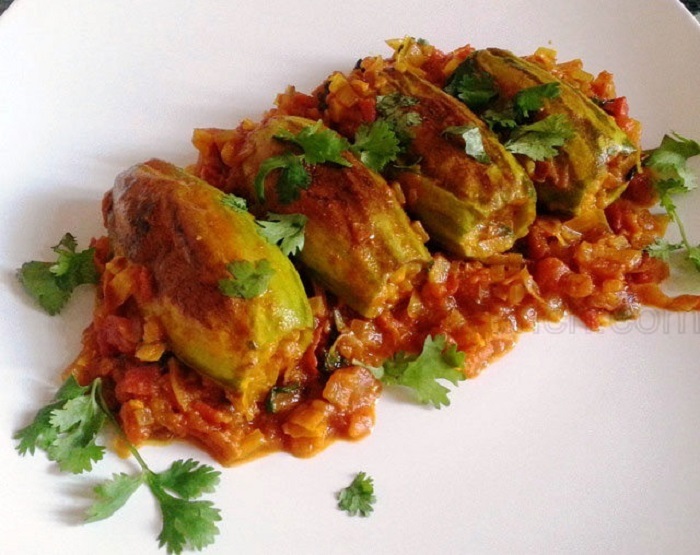 Yet, the humble gourd is elevated to the status of an exquisite dish, when it is prepared as Potoler Dolma. Stuffed with all good things, from minced meat, to prawns, to potatoes, to cottage cheese, and cooked in onion-based thick gravy, this dish is fit to be fed to kings. This is a delicacy from Goa that you should definitely try. The Kulkuls are special cookies made as a part of Christmas celebrations, which are deep fried instead of being baked. These little blobs of melting goodness are then rolled in confectioner’s sugar to add an extra zing. The Shukto, an absolute necessity to any Bengali meal is an empyrean combination of a variety of vegetables. The veggies, with at least one bitter, are slow-cooked in milk to whip up a spectacular palate cleanser. 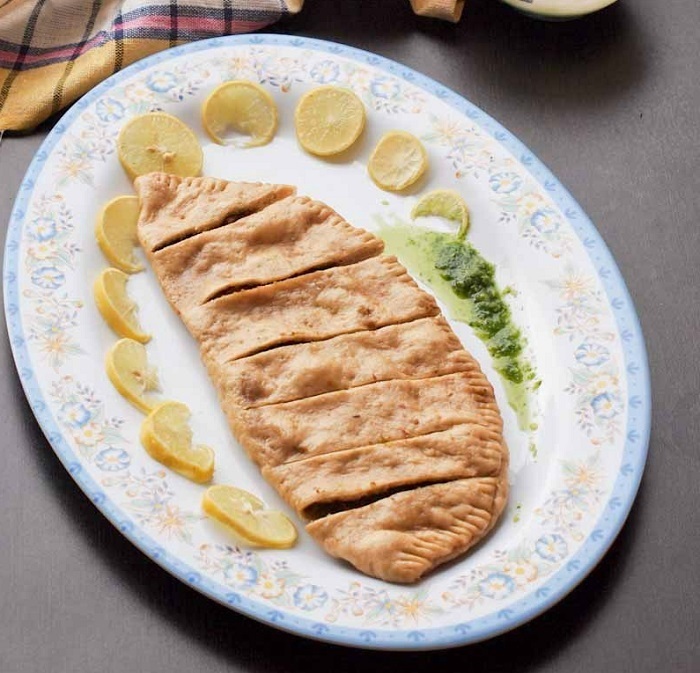 Resembling a calzone, the Sidu is a favorite with natives of Himachal Pradesh. This bread is stuffed with walnuts and best enjoyed with an accompaniment of coriander, mint and chilli chutney. 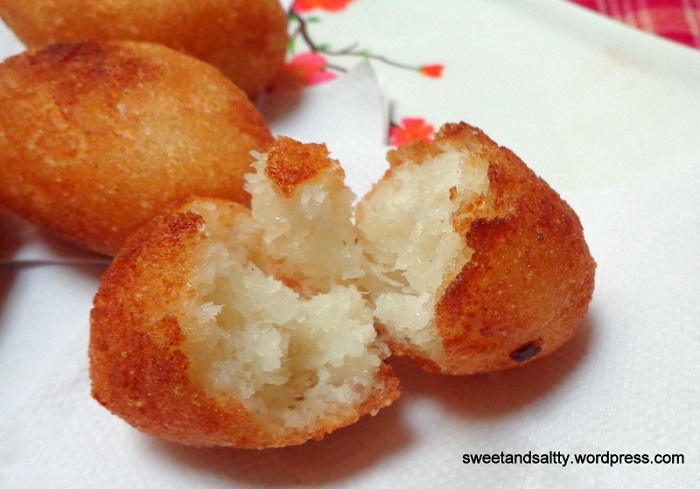 The Achappams are the preferred snackies for sweet lovers of Kerala. 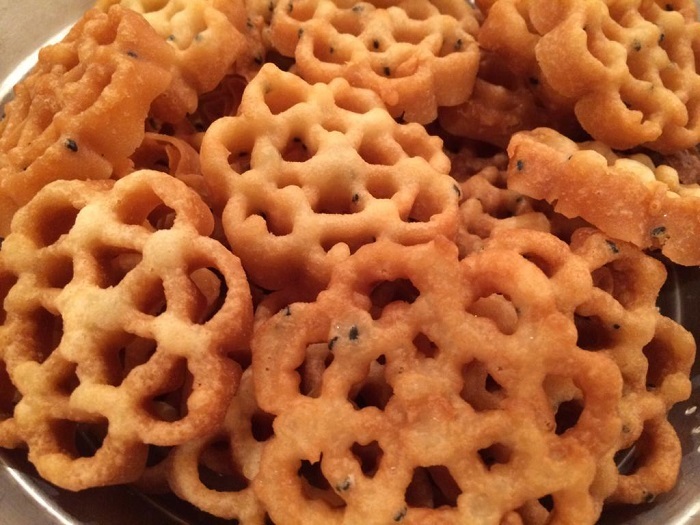 They are Kerala’s own version of the Rosette cookies, highly popular in Scandinavia. Sample one, and you will admit that there could be no combination that is more heavenly than that of coconut milk, eggs, sugar and rice flour. Jharkand’s take on golden-brown, crispy kachoris, the Dhuska, filled with minced green peas and chillies, are a treat for foodies. The Dhuska tastes delectable when served with tomato chutney that’s spicier than the kachori itself. However, people not blessed with stomachs of steel, beware! 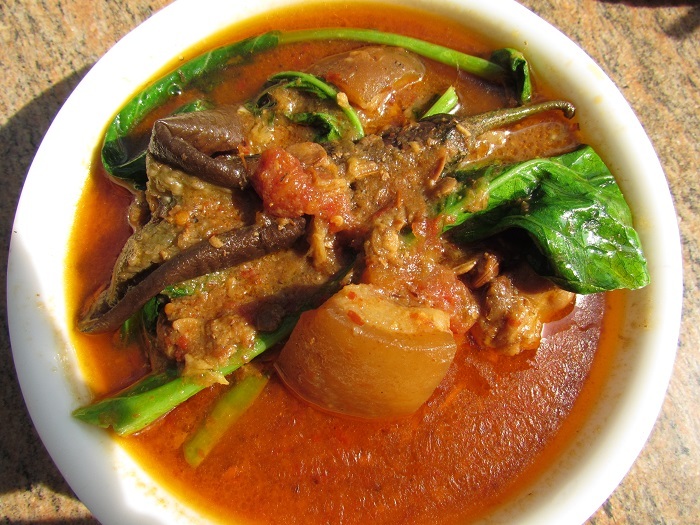 The Pork Akhuni is a rare gem from Nagaland up north that would tickle the palate of any meat lover. 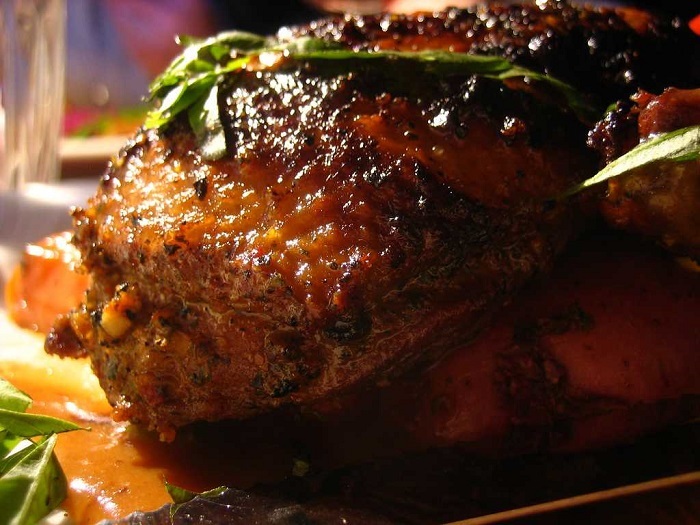 One of the staples of Nagaland is pork, and the people up there do know how to respect it. This dish is prepared with fermented beans and what is considered to be the world’s hottest chilli, the Bhut Jolokia. This integral part of Manipuri fare, speaks more about the techniques involved in cooking it, thus making it worth relishing long after you’ve licked your plate clean. 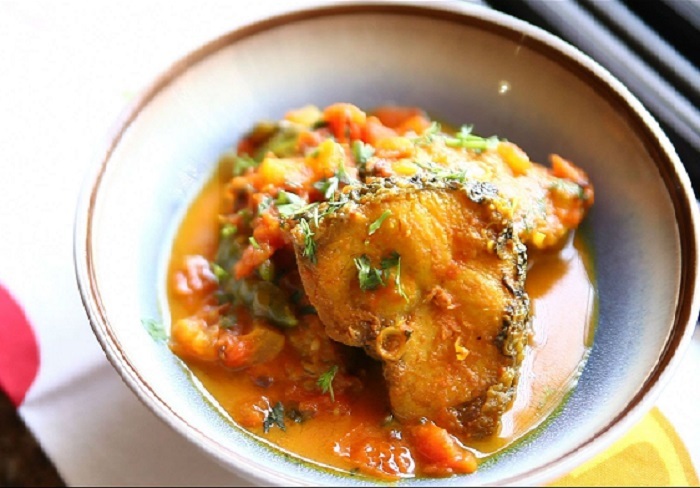 The name itself says how the tilapia fish is cooked to be disintegrated into the curry of spices and fresh vegetables. 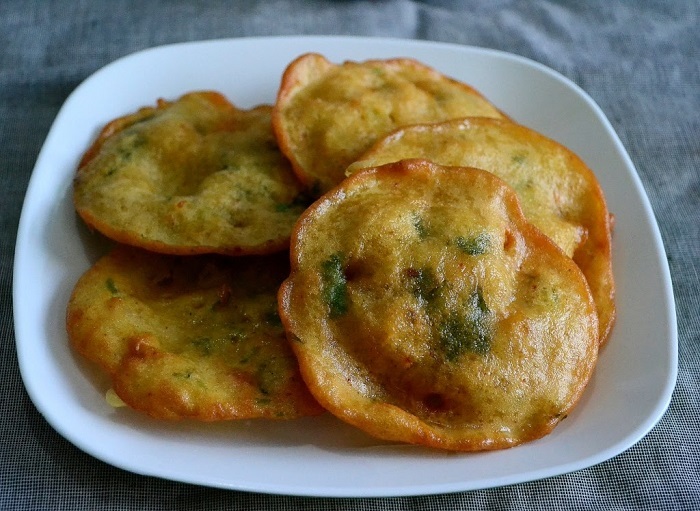 The Kakara Pitha is a one-of-a-kind sweet dish from Odisha. 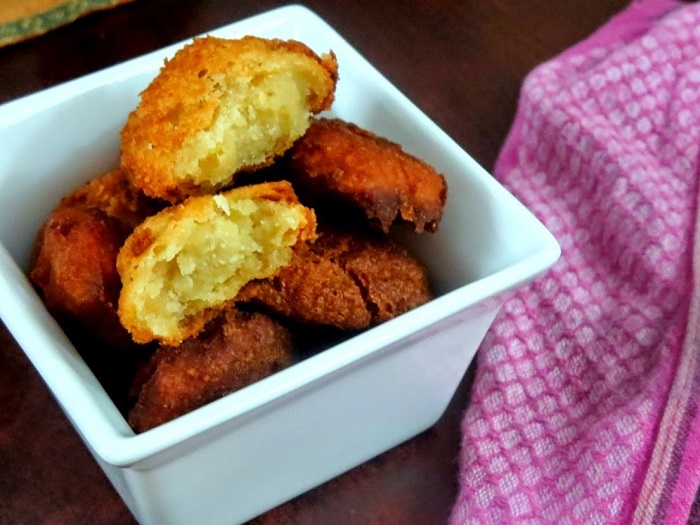 These are made from cardamom-flavored semolina and wheat flour, which are then deep fried, and then eaten either cold or hot. Another dessert to blow your mind away, the Pukhlein is a staple in Meghalaya, but quite unknown to residents elsewhere in the country. These little pancakes whipped up from ingredients like jaggery, riceflour and salt, are one of those dishes you undoubtedly need to taste. Well, which Bengali doesn’t have a sweet tooth? There isn’t a single household that wouldn’t serve you a rasgulla or a sandesh with tea. However, they are adept at making other desserts too, and the Patishapta is an example of their skills. 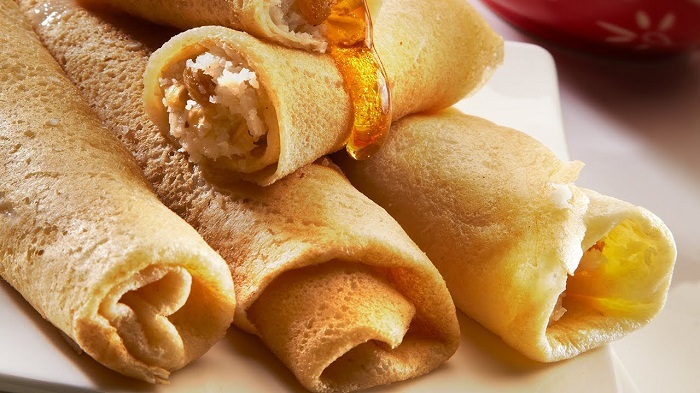 It’s the Indian take on crispy crepes, which are stuffed with a jaggery and coconut filling, a sweet dish that will make you crave for more than just one. 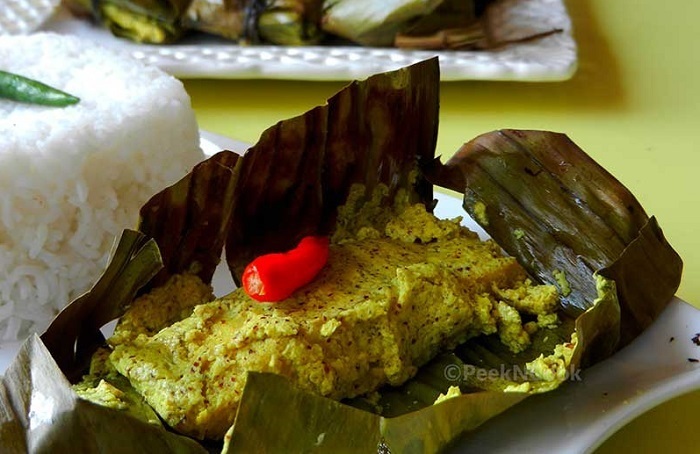 Khorisa is an Assamese speciality including the unusual yet appetizing fusion of bamboo shoots and fish, cooked in mustard oil, spices, and chillies. 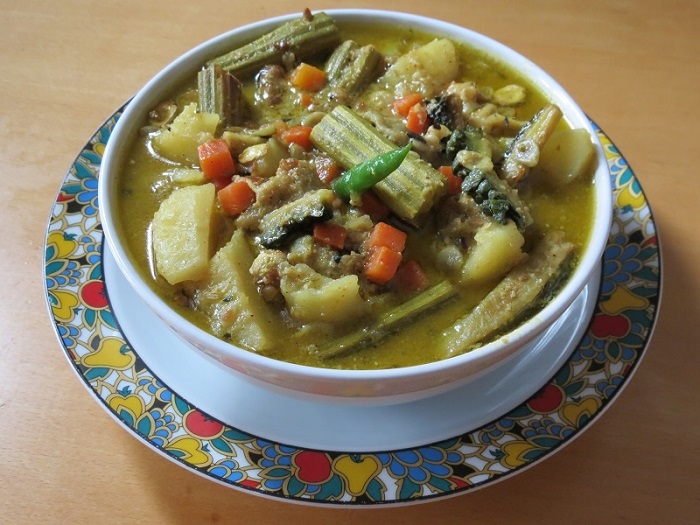 There could be nothing tastier than Khorisa Maas with steamed white rice. A popular dish with a rich culinary history, Chicken Dak Bungalow has been a favorite delicacy since colonial times. Now, prepared only in select restaurants and a few Anglo-Indian families, this is a treat for a hungry soul. This is a nutritious snack, savored in Punjab, which involves rich ingredients like whole wheat flour, ghee, dry fruits, sugar and herbal gums. It’s tasty, and helps prevent cold and fever. 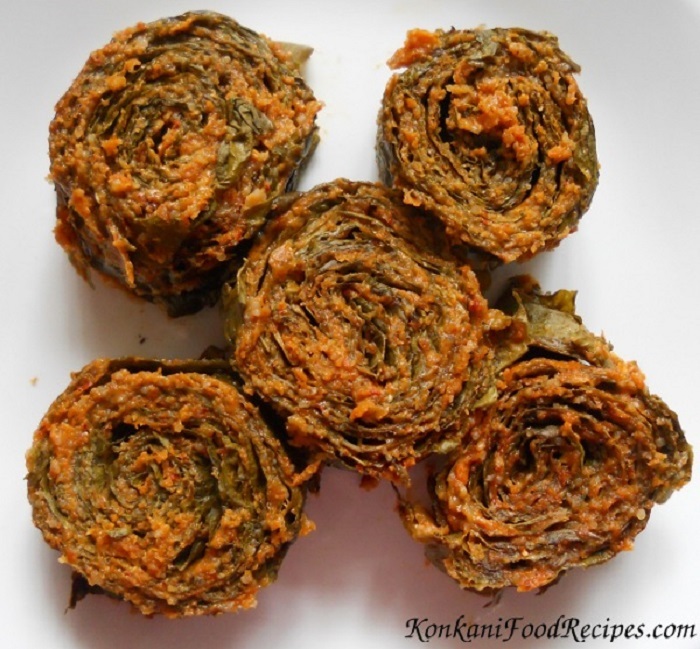 The Pathrode refers to colocasia leaves that are rolled and steamed, or occasionally deep fried, using a batter made of ground dal and rice. This food from Mangalore proves that we need not restrict ourselves to the main vegetable, and creativity pays off. Do you make idlis regularly at home? Do you have any batter left? If yes, step into the kitchen, mix it up with some chopped onions, chillies, ginger, and your favorite spices. 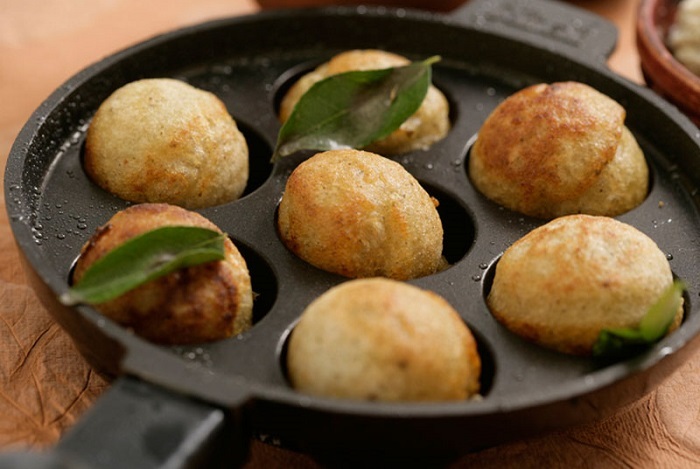 Deep fried balls prepared from this batter makes for a delicious snack called the Paniyaram. 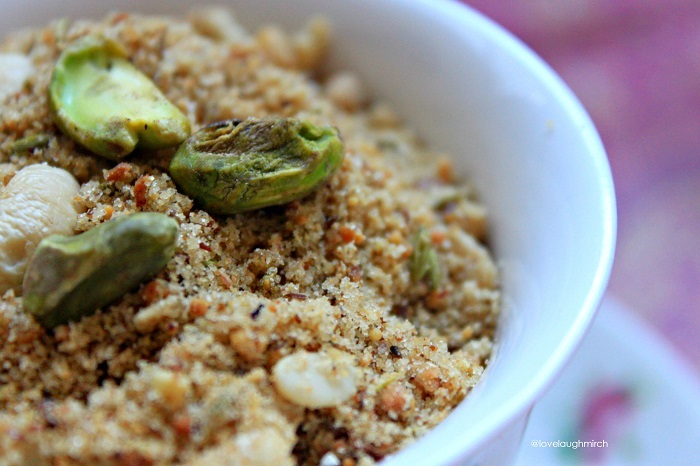 This is definitely a favorite in the Tamilian’s kitchen. The Indian cheesecake is right here, in the heart of Odisha. 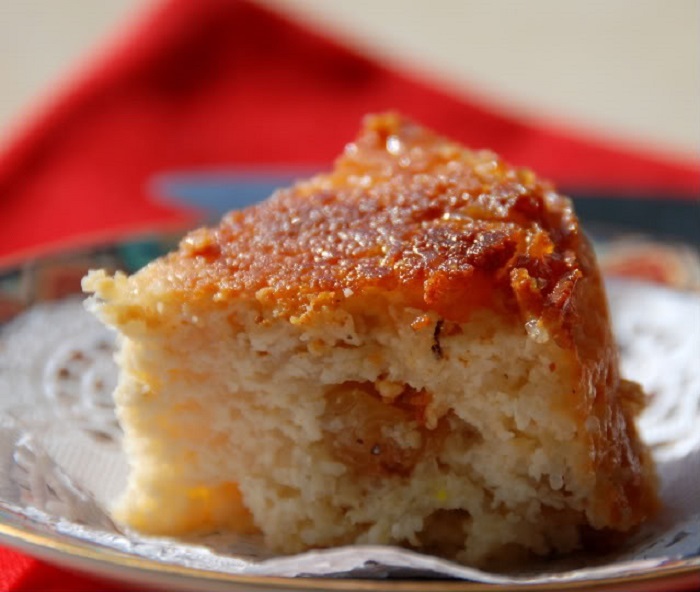 Chhena Poda uses homemade cottage cheese that is kneaded with dry fruits and sugar, and finally baked in the oven, till it turns decadently golden brown. Soft, yet chewy, the chhena poda can turn any health-conscious adult into a hungry child. Fish is a staple in the eastern parts of India, and it is said that there is no Bengali family that would deem their meal complete without a piece of fish on their plates. Be it a normal lunch, or a grand wedding dinner, every bit of fish is relished. The Paturi, which uses either the boneless Bhetki, or the bony Hilsa, is gastronomically extravagant. 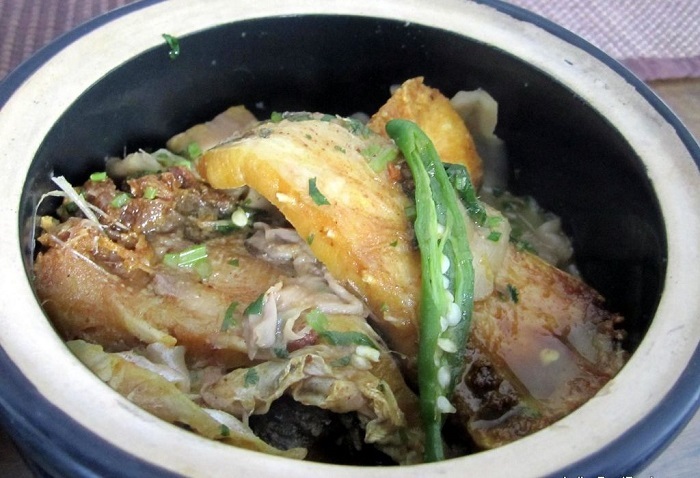 The fish pieces are marinated in a spicy mustard paste and then steamed to perfection inside plantain leaves. What is revealed after you open the leaves is simply lip-smacking! 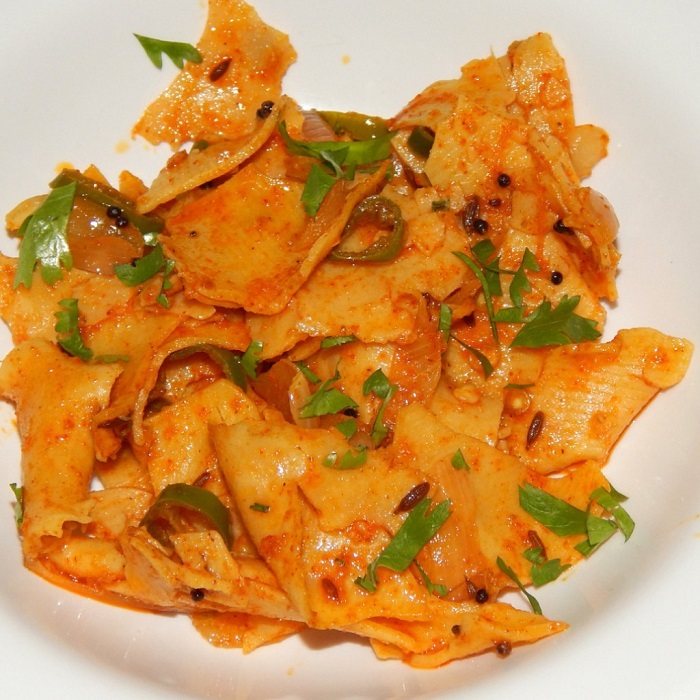 This is very similar to the more common papad ki subzi, where Rabodi, a mix of corn and buttermilk, is used. This is highly popular in Rajasthan, where it is savored with either chapatti or rice. 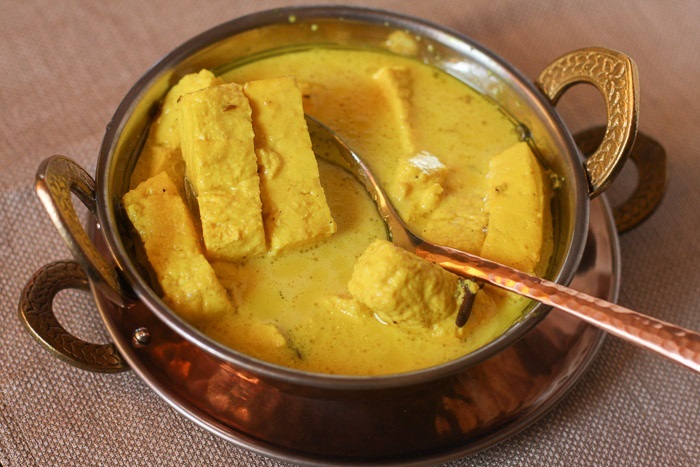 Want to give your regular kadhi a new dimension? 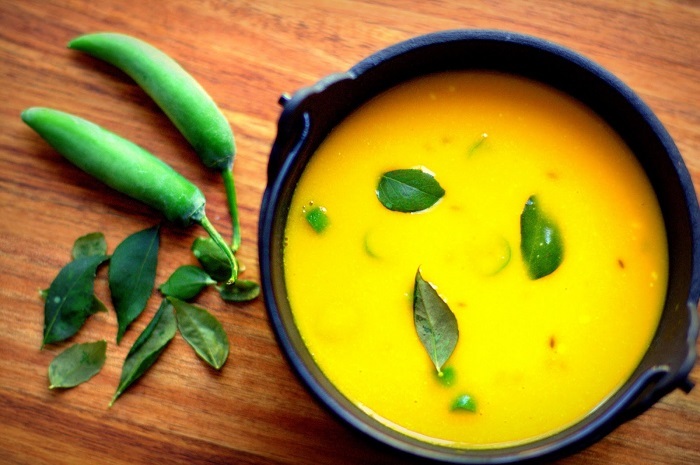 Try the Aamras Ki Kadhi, which blends mango pulp with gram flour and is cooked in buttermilk gravy spiced with cumin seeds and fried dry red chillies. Move over, American sweet corn, the Indian Bhutte Ki Kees from Madhya Pradesh is here! Puréed sweet corn, lime juice and spices—that’s the recipe for a happy stomach. Dosas are usually made of a mixture of dal and rice. The pesarattu, which is Andhra Pradesh’s favorite dosa, is prepared from ground moong dal. 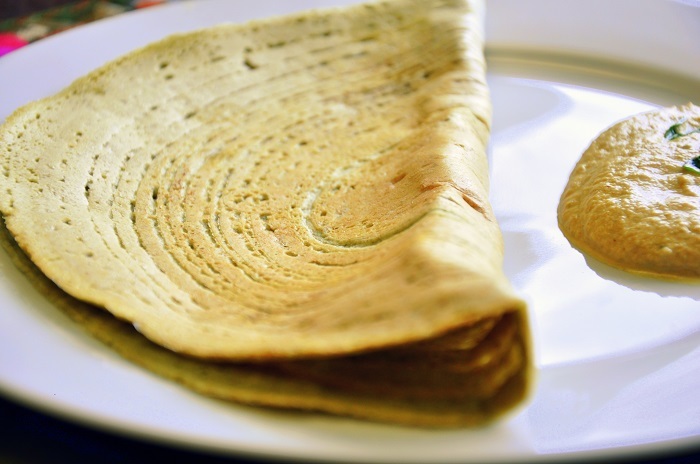 Make it crispy, and your green-hued dosa is sure to make your mouth water. 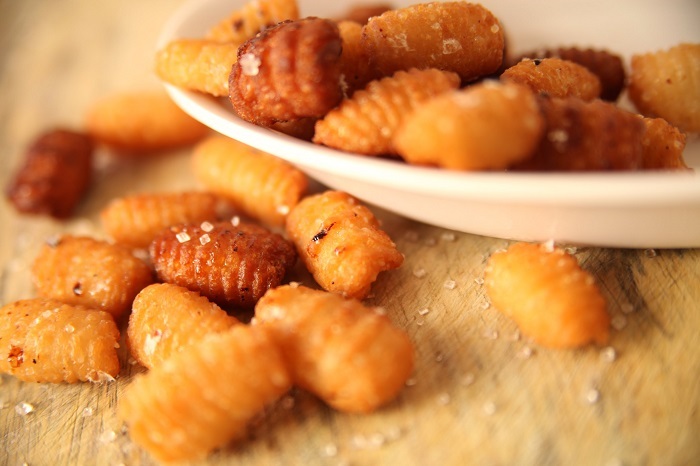 The Handvo, a speciality of Kutch, is a widely-loved snack in Gujarat. 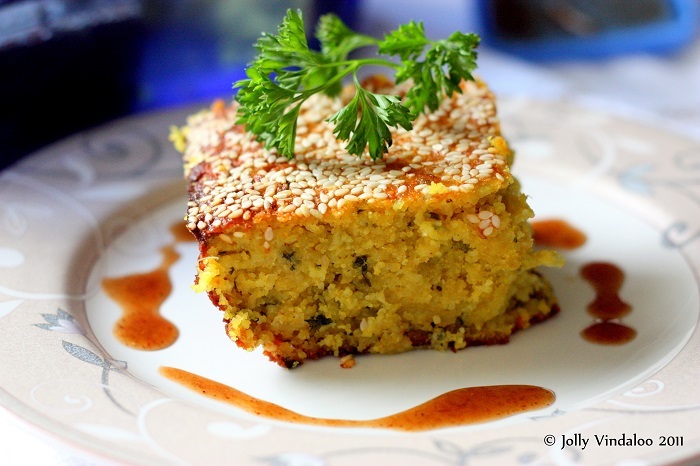 This is a different kind of the more popular dhokla, made with a variety of pulses, that are fermented and then sautéed in oil. Have it as a snack with tea, accompanied by a tangy chutney. 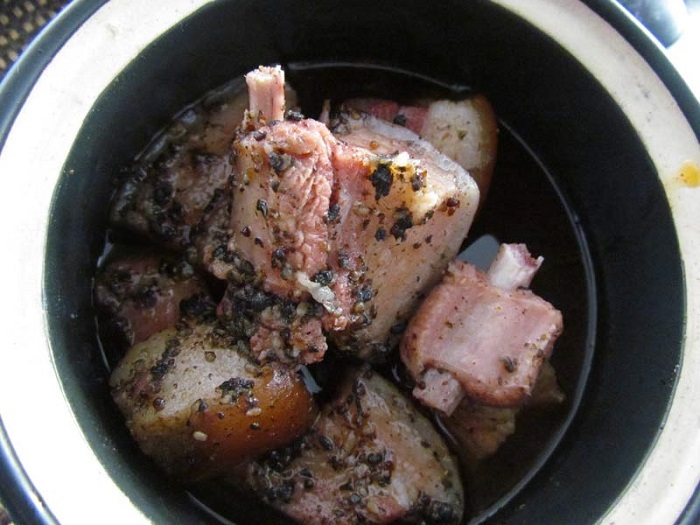 Pork lovers, the Khasi delicacy Doh Nei Iong, is here to sweep you off your feet. There could be nothing more appetizing for non-vegetarian than the rich aroma of spices and the fragrance of smoked pork. What makes this pork dish stand out from the rest is the liberal use of black sesame. Eat it with white rice, and yes, you have found your lifelong culinary partner. 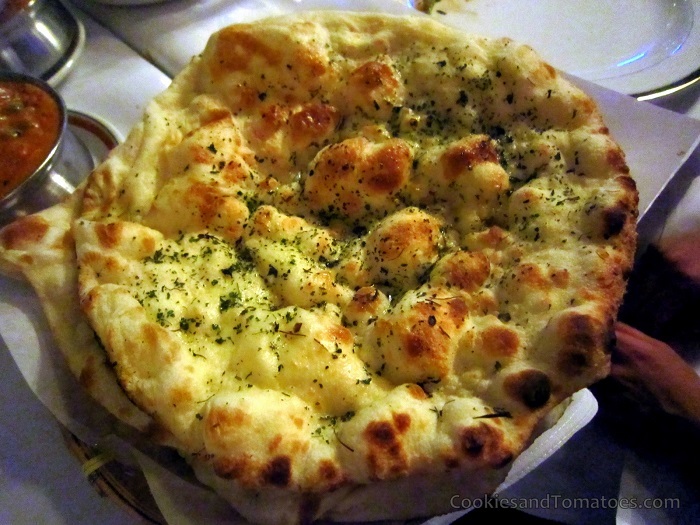 Raise your hand if you order Naan every time you visit your favorite Punjabi restaurant. Want to play a little game with your palate? Sample the Choor Choor Naan, stuffed with onions, potatoes, dry mango powder and ajwain. What best goes with it is a simple chhole curry and spicy mint-coriander chutney. Roast ducks aren’t just for Christmas in an Anglo-Indian household. Arunachal Pradesh presents to you the Poora Haah, a whole duck that’s roasted and served on a bed of crispy potatoes and rice. This impeccable wintry dish is going to take you on an unforgettable gastronomic journey. From Sikkim, “the land of peace and tranquility”, the Phagshapa is sure to make you go wow with every bite you take. 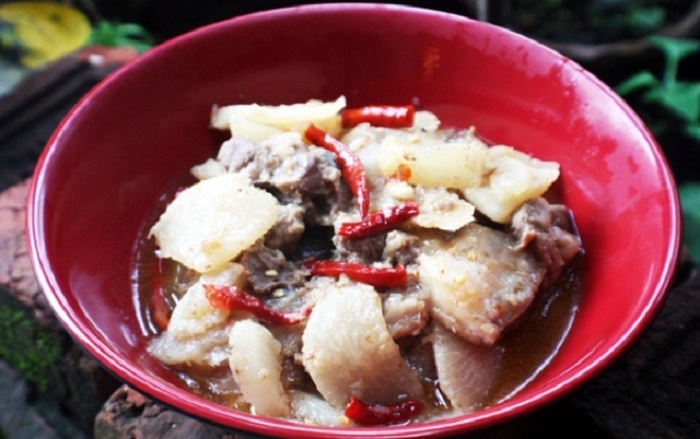 Very few dishes could be more delicious than a pork, chilli and radish stew that is going to tickle taste buds and leave you with a warm feeling inside on a cold winter day. A life saver on a hot and humid day, the sour Masor Tenga, forms an integral part of Assamese cuisine. It’s not just the fish, but also the lime or tomato, which is the hero of this dish.